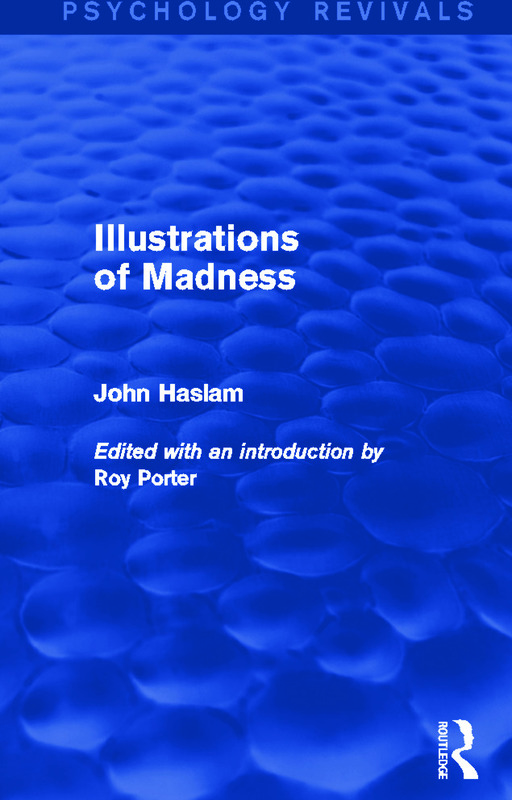 John Haslam’s Illustrations of Madness, written in 1810, occupies a special place in psychiatric history, it was the first book-length account of one single psychiatric case written by a British psychiatrist. John Haslam, apothecary to London’s Bethlem Hospital, and a leading psychiatrist of the early-nineteenth century, details the case of James Tilly Matthews, who had been a patient in the hospital for some ten years. Matthews claimed he was sane, as did his friends and certain doctors. Haslam, on behalf of the Bethlem authorities, contended he was insane, and attempted to demonstrate this by presenting a detailed account of Matthew’s own delusional system, as far as possible in Matthew’s own words. Originally published in 1988 as part of the Tavistock Classics in the History of Psychiatry series, Roy Porter’s Introduction to this facsimile reprint of an historic book goes beyond Haslam’s text to reveal the extraordinary psychiatric politics surrounding Matthew’s confinement and the court case it produced, leading up to Haslam’s dismissal from his post. Still relevant today, Haslam’s account can be used as material upon which to base a modern diagnosis of Matthew’s disorder. Preface. Introduction by Roy Porter. Illustrations of Madness by John Haslam.